VERONICA BRIGHT is a writer and teacher who loves creating stories. Her writing career had a boost in 2005, when she won the Woman and Home Short Story Competition. Since then her work has won more than forty prizes, and includes places at the Winchester Literary Festival and the Swanwick Writers’ Summer School (twice). She has been published in over a dozen anthologies, and has self-published three collections of award-winning stories. 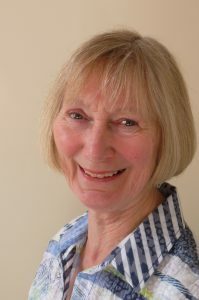 She is also the author of teaching resource books published by Kevin Mayhew Ltd.. Her latest non-fiction book, for writers, is How to create believable characters using the Enneagram. Veronica fell in love with Cornwall when she came to live here in 1988. The magnetic personality of the county inspires and invades her fiction. She is now working on a novel for children. Other enthusiasms include being the short story adviser for the Association of Christian Writers, running courses at the Swanwick Writers’ Summer School, being a competition judge, and giving talks locally. Veronica runs the Plymouth Christian Writers, and is also a member of the Plymouth Writers Group.